Limit 1 per person and per transaction. Valid on any products or services. New customers only. Full value of Gift Certificate must be redeemed in 1 visit. 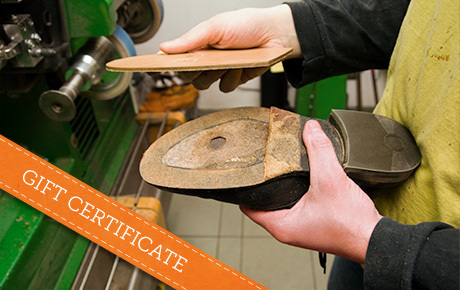 Show your leather goods some love with an $80 Gift Certificate to Finest Shoe Repair in the South Shore. Use this gift certificate to repair your favorite shoes, purses and coats, or put a perfect shine on your boots. In business for 25 years, Finest Shoe Repair is a local leader in leatherwork and shoe services. Oscar, owner of Finest Shoe Repair, continues the tradition of his father by offering the highest quality services and by remaining involved in the community. The staff at Finest Shoe Repair take pride in the quality of their work and strive to bring new life to your favorite shoes and other leather items.